Highly appreciated nowadays in any domain, innovative designs are meant to improve our lives and make it easier. They are a result of an extraordinary combination between designers’ creativity and the latest techniques and materials. Everyone is looking for such products these days and quite many of us have also the financial possibility to enjoy their benefits. Of course, not everything which is new and make use of the latest technology means that is also very good and we bet you know enough examples already, so it’s vital to put health benefits above any others that they could bring you. 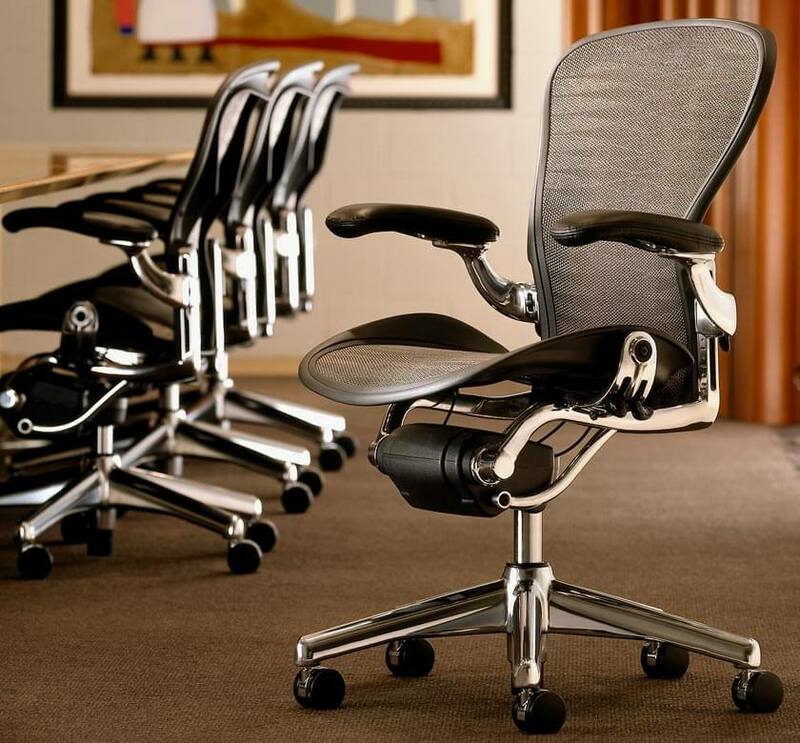 Thinking about that, we searched for innovative design solutions that improve the way that people work and we find some excellent office chair designs from Herman Miller, a recognized innovator in contemporary interior furnishings, solutions for healthcare environments, and related technologies and services. “Most admired” and one of the “100 Best Companies to Work For” according to Fortune in 2010, Herman Miller company is operating in more than 100 countries and for more than a decade has been working with some of the most remarkable and talented designers to create furniture collections which become new reference point for performance, aesthetics, sustainable design, and value. Herman Miller chairs for office are quite outstanding, redefining practically this piece of furniture. Imaginative modern designs which adapts naturally and adjusts automatically to a wide variation in the sizes, shapes, postures, and spinal curves of different people, textiles that are meant to enhance, not cover up, great finishes with color combination that appeal to universal tastes – all with an extremely small environmental impact, because the facilities were these items are made uses nothing but renewable energy. We all know that whether we are in the office or at home making our daily tasks, a large part of our time is spent sitting and there is nothing surprising anymore. Sitting for hours every day in front of a computer is nowadays a fact of life which seems it won’t change any time soon, on the contrary, which unfortunately has very bad consequences on our health. We don’t need to read or to listen to medical research that tells us how long hours of sitting contribute to obesity and to many other negative outcomes associated with it, because many of us have experienced already these kind of effects. So, being aware of these things, we must come up with other solutions to keep us in good heath conditions like exercise more, walk anytime we have the possibility, eat healthy and make sure you choose highly ergonomic products for your work environment. We need chairs that literally keeps our bodies and minds in motion in order to be more focused and functional, and not ending up stiff and tired after a work day. With such descriptions, Herma Miller’s office chairs with innovative designs go certainly beyond expectations, totally new kind of chairs. Here are some example for office environment. For more photos and details for eachh product, please check out their website.